Send Natalie your email address if you would like to receive her regular E-zine. "What might not men and women have been had they realised that the treatment of the body has everything to do with the vigour and purity of mind and heart." Ellen G. White. The true meaning of the word fast, is to abstain from all foods. 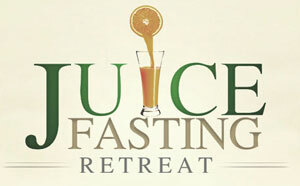 Fasting is not juicing. Juice is a form of food which is liquidised, but is not total abstainence from food for a defined period of time. The word "fast" is an old English word which means "fixed", or "firm". So a fast is something we hold to on a firm basis under controlled and fixed conditions. What does a water fast actually do, and what is it's purpose? It simply provides your body the opportunity to heal, rest, detoxify, and repair itself. No. Most definitely not. 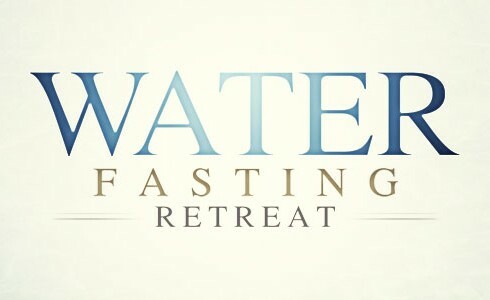 But while fasting on water only, you are taking away the cause of the disease, leaving your body with vital energy, that is normally taken up and distracted by tasks such as digestion, absorption, assimilation and elimination; not to mention other activities that drain our energy from the body, such as stress, work, talking etc. These are all highly enervating. What determines a successful fast? The success of a fast is as dependant upon the person discontinuing the daily tasks, and abandoning distressing thoughts and resting, as it is on rest from food intake. A successful fast also depends on breaking the fast correctly. The length of your fast should be almost equal to the length of time you break your fast. That is to say if you fast for ten days, you should spend 7 or 8 days weaning yourself slowly back; from juicing, to raw food, to steamed and then your normal, healthy diet. The reason for this is that the stomach has shrunk dramatically during your fast, and cannot digest solid food; which can be dangerous. You can undo all the good you have done during your fast. Fasting can bring about a renewal of the body; a revitalisation of the organism. As the fast progresses, all cells of the body undergo refinement and there is a removal from the protoplasm of the cells of stored, foreign substances (toxins), so that the cells become more youthful and function more efficiently. Some of these stored materials are highly toxic and have long remained in fatty cells, and in the cells' connective tissue, which have been the dumping ground of the body. 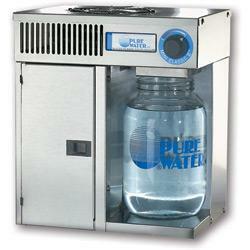 Distilled water is the only achievable way for the body to go into a fast. Normal spring and mineral water contain minerals which feeds the body, so in effect you are not fasting, or abstaining from all food. Fasting is most helpful for those facing a major health crisis or undergoing medical treatments which involve a significant risk of side effects. It is most important to fast under the care of a physician trained in fasting. You will find most medical doctors do not have this training, although a small minority will. This form of treatment is much safer and more effective than conventional medicine. This is because the traditional medical approach of treating the symptoms of disease with medicine and surgery, does not remove the cause. Left unchecked, such causes will continue to harm the patient in time to come. By contrast, the therapeutic fast followed by a healthy lifestyle will remove the cause of the disease and can dramatically accelerate the healing process. The public, media and even our MD's often harbour a distorted idea of fasting. There are no scientific grounds for this 'fear-based' prejudice. It is just misinformation or complete lack of it. Fasting is an effective and uncostly approach to health care, that has a beneficial effect for thousands of people with various health problems and diseases. Nothing in this website constitutes medical treatment or advice of any nature, furthermore as every person responds differently to fasting, it is strongly advised that any person wanting to fast, even for a short duration, should consult Natalie or a physician experienced in fasting. Some Naturopaths and Hygienic physicians have training in fasting. Natalie was trained by Keiki Sidhwa in the College of Naturopathic Medicine, London, England, and was privy to his expertise at his home when she undertook her own water fast under his supervision. Keiki Sidhwa had the privilege of training under the late Dr. Herbert Shelton. Both doctors ran their own fasting sanitariums, returning thousands of patients back to good health. "Back in the year 2000, juice therapy started my journey to transform my health, body, mind and career. All thanks to a friend from Russia who introduced me to the Champion Juicer and raw foods. I was overweight for my small frame and height. I had allergies, was constantly tired, and not happy at all with the way I looked. The first change I noticed was in my features. My face shrunk and I never realized how blown up I looked back then. I dropped to my normal weight and became so passionate about this lifestyle that I ended up leaving my boyfriend and my entire life behind me in the Netherlands. I had a defining moment whilst reading, and it felt like the word "Naturopathy" jumped out at me on the page. So I went to study Naturopathy at the College of Naturopathic Medicine in London, England. Intuitively I just knew I was meant to be a naturopath. My journey of health and self-discovery had begun. While in the Netherlands I had come across such pioneers as Norman Walker, Dr. Gerson, Ann Wigmore, and later Ellen G. White among others. I was also given a magazine called "Get Fresh", which was run back then by Karen Knowler, all about raw food. I highly recommend you subscribe to this magazine if you are interested in the raw food movement." - Natalie Sen, ND. Many health institutes around the world use juice therapy to bring their patients back to health, many who come to these places with serious diseases like cancer, and return home to their doctors only to find that they no longer have the disease! Juice therapy is particularly effective for seriously ill patients. The type of juice Natalie will use will depend on their condition or disease. She could use anything from wheatgrass to green vegetable juices. For instance, an anemic patient would be prescribed wheatgrass and beet juice to help increase their blood count. There is a medical doctor who juice fasts diabetic patients in the US for 90-120 days, and there is good reason for this. Your body, cells and organs renew themselves so the longer you fast, the healthier your body will become. "I have to stress, that short juice fasts of 3 days or so would not require you to consult a doctor." If however you are taking medication then you should consult Natalie, or a MD who is trained and experienced in nutrition, especially before you do a long fast. So let me show you some juice machines I recommend from The Fresh Network. 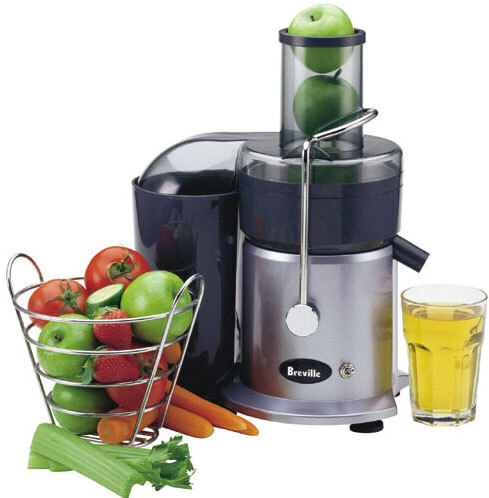 You can find many different juicers here as well as kitchen equipment, and the world famous Get Fresh Magazine, along with many books and DVD's by famous raw-foodists. The Champion Juicer. "Champion was my first juicer back in 2000. It's still a very good juicer but does not juice wheatgrass. If you go to my Raw Food page you can see a cheaper wheatgrass juicer, or if you would like an all in one, then opt for the Green Star Juicer." "There are other kinds of cheaper juicers which can be found in any local electrical store, and they are ok to start with if you are on a low budget." Norman Walker's Hydraulic Press Juicer is mainly used in health institutes but if you can afford it, this is most certainly the ultimate juicer! 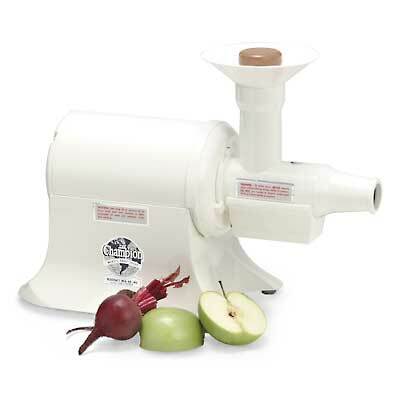 "I believe you get more nutrients and more juice from this machine. There are others, also available from Juiceland, The Professional Juicer Specialists who also offer information on wheatgrass juicers. 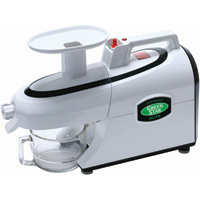 Professional Juicers, Citrus Juicers, Wheatgrass Juicers, Food Dehydrators, Blenders, Seed Sprouters and other Kitchen Health equipment all available from Juiceland UK. It all depends on your budget. You can also just start with a cheap, centrifugal juicer if your budget is low, but I would suggest you also try and buy that wheatgrass juicer. Either way, please don't hesitate to contact me if you're sick or ready to change to a healthy lifestyle. I can also help you through online consultations." Proteolytic enzymes, also referred to as "proteases," are enzymes that break down proteins into their smallest elements. If this breakdown of proteins happens in your gut, we call the enzymes "digestive," because they help us digest our food. Systemic proteolytic enzymes, however, have a completely different purpose, so please don't confuse the two. When taken on an empty stomach, proteolytic enzymes will pass through the stomach or intestine lining and enter the circulatory system. This is why they are called "systemic" - once they enter the circulatory system, they circulate throughout the body. They are coated in a special way to survive and pass stomach acid. Why are systemic proteolytic enzymes important? The most important thing that systemic proteolytic enzymes do is to break down excess fibrin in your circulatory system and in other connective tissue, such as your muscles. These enzymes bring nutrients and oxygen-rich blood that remove the metabolic waste produced by inflammation and excess fibrin. Who should not take proteolytic enzymes? There have been no side effects reported. Proteolytic enzymes have an excellent safety record, with no significant side effects reported. With any supplement, however, there is always the risk of developing an allergy to one or more ingredients. If this happens, you should discontinue use. Natalie recommends vegetarian proteolytic enzymes to her patients and they may prove to be more effective because they possess an unusually high stability and activity under a range of pH conditions. For example they are active below a pH of about 4.5 while pancreatin has digestive activity only in an alkaline medium. In contrast, some vegetarian proteolytic enzymes are stable and active at a pH of 2 through 12. For dosage and more information about what sickness and diseases they help, contact Natalie for a telephone or online consultation. Classical naturopaths in the 19th and 20th centuries treated a wide variety of ailments with hydrotherapy. These days, naturopathic physicians use it to boost the immune system, to heal injuries, and to detoxify the body. It can treat acute upper-respiratory infections, colds, flus, bronchitis and pneumonia. It works very simply using hot and cold baths, or wrapping the body in hot and then cold towels. This increases circulation in the body, thus increasing circulation of white blood cells, which stimulate the immune system. The drawing of blood to and through targeted areas of the body has so many health benefits, including detoxifying the body, healing injured tissues and re-energizing the body. In this treatment, the water cleanses and tonifies internal tissues, helping to alleviate constipation or supporting a detoxification. Natalie uses certain ingredients to help elimination during enemas. Natalie says, "Good health begins with a clean colon. Many ailments and diseases stem from here. Even with three stool movements per day, this does not mean you have a clean colon." Please see my Raw Food page for more information on the use of raw food for the treatment of sickness and disease. A herb is a plant used for flavour or for its therapeutic properties. People take herbal medicines to improve their health. Many herbs have been used for a long time for claimed health benefits. They can be sold as tablets, capsules, powders, tincture, teas, extracts and fresh or dried plants. However, some can actually cause health problems, while some are not very effective at all, and others may interact with other drugs you might be taking. Consult your doctor first if you are on medication or inform Natalie what medication you take. Do not take a bigger dose than the label recommends or that your practitioner advices. Take it under the guidance of a trained professional in this area. Inform Natalie especially if you are pregnant or nursing. Natalie may use flowers and herbs for medicinal purposes, like those used in parasite cleanses, and tinctures made specifically for your complaint. Bathing With Herbs. As our skin is not just a boundary, but acts literally to filter away outside influences, the healing properties of plants are selectively absorbed through the skin membrane to impart their blessing to our very core. Some of the most successful treatments can be done with herbal foot, hand or whole body baths for such conditions ranging from colds, flus, fevers, skin diseases, inflammations, arthritic complaints, traumas, cramps and spasms to emotional and neurological imbalances such as depression and insomnia. There is no question, therefore, of the medicinal potential of such herbs or Flower Baths. Calendula (C. officinalis) can be taken internally to promote blood circulation, treat surface diseases such as colds and fevers as well as relieve menstrual cramps. Externally it can be made into an oil or salve for burns and injuries. You should always seek advice from a herbalist or trained Naturopath for dosage. Rose (Rosa species) petals are cooling, blood circulating and anti-depressive. They should also be made up by your practitioner. St. Johns Wort (Hypericum perfoliatum) is used to treat depression and nerve pains. Passion Flower (Passiflora incarnata) induces sleep and calms the nerves. Violet (Viola odorata) is cooling and demulcent, relieving fevers, and alleviating cancer. It can be made into an expectorant syrup for lung and bronchial irritation. Primrose (Primula vulgaris) or evening primrose oil is used as an anti-inflammatory. Rosy Periwinkle (Vinca rosea) is used as a treatment for cancer, especially leukemia and Hodgkin's disease. The flowers have a calming effect on the nerves. Natalie also uses herbal remedies for cleansing your body. Mostly herbal remedies which contain bentonite clay, psyllium, acidophilus, and green food and herbs. For example, Natalie's Colon and Liver Cleanser removes toxins and draws old faeces from the colon wall giving you more energy and good health. Why is it important to have a healthy pH balance? Your body's pH is important to your health and vitality. Your body therefore, is always diligently seeking to achieve and maintain a healthy pH balance. The proper balance is the key to optimal health. Our body is designed to be slightly alkaline. Optimal pH for your blood is 7.365, while your saliva should remain about 7.0 to 4.5. What should be the pH of a healthy body? 7.35 to 7.45. If your body's pH deviates from this range, you will be sick or have symptoms of illness. The body therefore does everything it can to maintain this pH balance. The pH of your blood is critically important. Your blood must remain between 7.35 and 7.45 to provide optimum health. Remember many diseases occur in an over acidic body, so it makes sense to keep a check on your pH balance. It is essentially a preventative measure really, so here at RawRecovery. Natalie tests your pH and prescribes an alkaline diet plan to reach a healthy pH that will not allow illness and disease to manifest. And remember if you are sick it will take some lifestyle changes to reverse your body back to optimum health. "If you keep doing what you have always done, you will keep getting what you have always got!" Malcolm Yates. Parasitic infection: Are you in need of a cleanse? 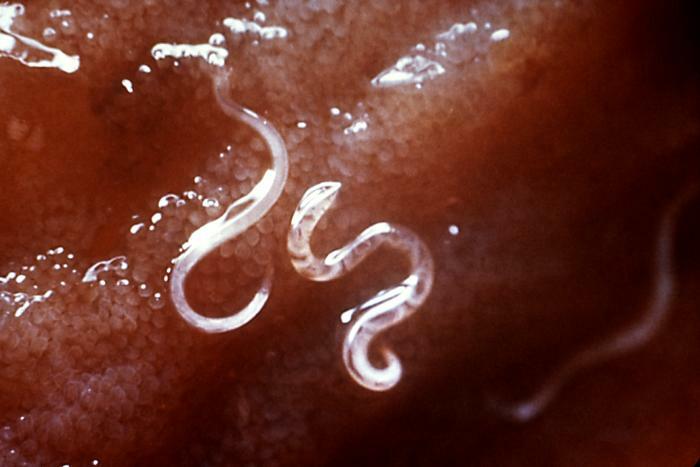 According to the World Health Organization, 3.5 billon people worldwide suffer from some form of parasite infection. Well some parasites are highly contagious, passed on by casual contact with something that has been handled by an infected person or child. There is about three thousand different types, normally put into 4 categories. Symptoms of parasitic infection vary dramatically. So if you do have any of the following symptoms, we cannot just assume that you are infected. But what have you got to lose, a parasite cleanse would help to keep your body as clean as possible anyway! Only rarely is there visible evidence of infection, even with a lab test, to show an infection. Some of my patients are shocked after doing a parasite cleanse with me, by what is seen in their stools. These may be symptoms but as I say, not everyone with these symptoms has parasite infection. When infection becomes chronic you may experience; alternating constipation and diarrhoea, abdominal distension, bloating, intestinal cramping with a burning sensation and a sudden urge to eliminate, Irritable Bowel Syndrome, blood sugar fluctuations, sudden food cravings, extreme emaciation or becoming over weight can all be suggestive of parasite infection. Itching is a clue especially among children. However the abstinence of itching does not mean there is no infection. Skin sensitivity is also common such as eczema like conditions and even serious eruptions. Many parasites effect the nervous system causing insomnia and hyperactivity in children, but adults may experience anxiety, depression or memory loss. It all depends where the infection is, in the body. For a parasite cleanse contact Natalie to arrange to have a consultation for advice on how to perform the parasite cleanse. Natalie uses only organic, natural products. Ultimately why do we get sick? My day of rest. We are all in need of rest. REAL rest, from work out in the world and even from work in our own home that we so lovingly do for our families. God made the world in six days and the seventh day He rested. Six days you should work, but the "Six days shall you labour, and do all your work: But the seventh day is the sabbath of the LORD your God: in it you should not do any work", and not even employ anyone else to work, like a cleaner or shop assistant. That would be the modern application to this commandment. God knew that the body would get sick if over worked, and He knew you needed quality time with your family and with him. Exodus 20: 9-11. How do we know the "seventh day" is not Sunday? It is not disputed that Saturday is the seventh day, and the start of the week is Sunday. Just look in history, or any encyclopedia or dictionary. But you have freedom of choice. God would never force you to love Him or seek Him. God is love - not force. It's our responsibility, but just look at His promises! "Therefore, take care to follow the commandments, statutes and laws I give you today. If you pay attention to these laws and are careful to follow them, then the LORD God will keep His covenant of love with you, which He promised your forefathers. And the LORD will take away from you all sickness, and will put none of the evil diseases... upon you." Deuteronomy 7:11-13, 15. Click HERE to down load FREE books on physical and spiritual health. There are so many other treatments that are too numerous to elaborate on here, like Cellular Therapy, Organ Cleansing, Heavy Metal Toxicity Removal, Tissue Salts, Anti-Candida Diet Plan, Herbal Medicine, etc. etc. So please don't hesitate to contact Natalie to request further information on any illness you might be seeking advice on. All the information contained on this website or through email or ezine has been provided by a qualified Naturopath, not a medical doctor. This information is intended to support individuals who have already received advice from a medical doctor regarding a change in diet and lifestlye. If you are on medication or if any symptoms persist then you should seek medical advice from your doctor. I have to stress to you that most medical doctors are not trained in nutrition or naturopathy, so may not support you in your choice of seeking naturopathy.